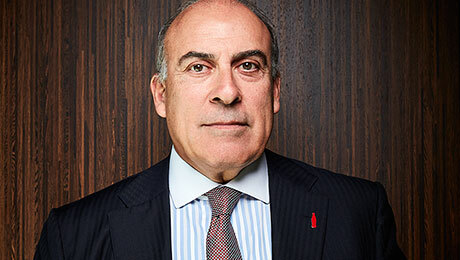 CEO Muhtar Kent is leading an epic transformation in an attempt to address a looming question: How can Coca-Cola continue to grow as sales weaken? Outside Muhtar Kent’s office, at The Coca-Cola Company’s headquarters in Atlanta, hangs a framed photograph. In it, the chief executive is pictured in front of the Statue of Liberty, smiling and extending a bottle of Coca-Cola into the air to emulate Lady Liberty lifting her torch. The picture was taken in 2011, the year both the iconic statue and the iconic beverage celebrated their 125th birthdays. As it has grown up, Coca-Cola — now 130 years old — has woven itself into American culture via its universally familiar looping script and the various ways in which its pervasive marketing and products have shaped consumer tastes. The company’s influence is now global, with 81 percent of its volume sold outside the U.S. in 2015. In recent years, however, evolutions in consumer health and nutrition preferences have pushed back on The Coca-Cola Company. Only 35 years ago, Coca-Cola was still the one-brand, one-product business it had been for a century. Today’s Coca-Cola strategy presents a very different picture, and Kent says the pace of change within his company is only quickening. The profound changes Kent is overseeing are an attempt to address a question looming over the company: How can Coca-Cola continue to grow as sales volumes from some of its most significant products weaken? Beverage Digest reported that per-capita soda consumption in the U.S. fell to a three-decade low in 2015. Local governments, citing the link between high sugar intake and diseases like obesity and diabetes, are moving to tax sodas. Philadelphia passed a tax in June on diet and sugar-added beverages, the first U.S. city to do so. Kent has responded to these pressures with a company-wide transformation — one uniquely suited to his history. In October 2014 he announced that Coca-Cola would accelerate a plan to sell off the bottling operations the company owned. In February of this year, he announced a goal of completing this process by the end of 2017. At the end of 2015, 18 percent of the company’s volume was sold through company-owned bottlers. By the end of 2017, that number is projected to be 3 percent. The asset-light model should help the company boost its operating margin to 34 percent from 23 percent, and its gross margin to 68 percent from 61 percent, according to company estimates. Kent joined Coca-Cola in 1978. He was born in New York, the son of a Turkish diplomat, and grew up in Thailand, India, and Iran. He moved back to the U.S. after attending university in England. In 1985 he was named general manager of Coca-Cola Turkey and Central Asia, and in 1989 he became president of the East Central Europe division and senior vice president of Coca-Cola International, a role that gave him responsibility for 23 countries. Kent left Coca-Cola in 1995 to take the job that would provide him the intimate familiarity with Coca-Cola bottling operations that is paying off now. As managing director of Coca-Cola Amatil-Europe, he managed bottling operations in 12 countries, and in 1999 he became president and CEO of the Efes Beverage Group, which handles Coke and beer operations across Southeast Europe, Turkey, and Central Asia. He returned to Coca-Cola in 2005 as president and COO of the North Asia, Eurasia, and Middle East group. Less than a year later, he was named head of Coca-Cola International, where he developed a reputation for managing to drastically boost volumes in the emerging markets he oversaw. Kent explains that selling off the bottling businesses brings the company back to the pure-play business it once was. But in other ways, the company’s strategy is a reimagined one. The company’s previous eagle-eye focus on increasing sales volumes has been revised under Kent to a strategy that seeks to grow revenues in part by raising prices. Added to that, of course, is the company’s dramatic portfolio change. The company has acquired non-alcoholic, ready-to-drink beverages of all types, and developed several more in-house. Coca-Cola has seen significant growth in sales of what it calls its “still” beverages: bottled water, energy drinks, juice drinks, and ready-to-drink coffee and tea. Ali Dibadj, a Sanford C. Bernstein analyst covering household and personal products as well as beverages and snacks, says Coke’s bid to find staying power in a changing world will pay off for the company and its long-term investors. 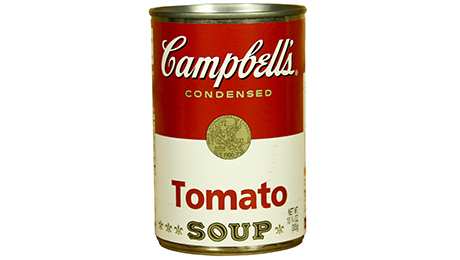 “We think it’s one of the most interesting names in all of consumer packaged goods right now,” he tells Institutional Investor. In October, Contributing Writer Katie Gilbert sat down with Kent in his Atlanta office, where he laid out his case for why long-term investors might not want to kick their sugar habit quite yet. 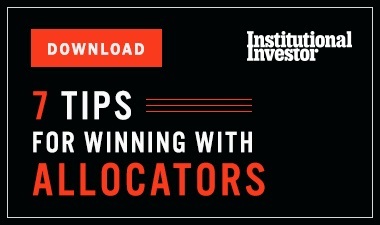 Institutional Investor: You’re overseeing a major refranchising at Coca-Cola at the same time that you’re contending with dramatic changes in customer preferences. Is this the biggest transformation in the company’s history? Kent: I think it’s one of the biggest. It’s a huge transformation. There have been other transformations in the past — when we decided to go to a mono-business back after owning a wine business. We owned a film company called Columbia Pictures and we decided to go back to a singular focus on non-alcoholic beverages. That was a period of big transition. But I think in the last quarter of a century, this would be the single biggest transformation the company has gone through. There are a number of things going on, and all of this is happening at the same time: We are revitalizing our organization. We just took a layer out of the organization and made it flatter last year. We are revitalizing the way we work and have a huge productivity target of $3 billion by 2019. We are revitalizing our brands and our portfolio. When I became chief operating officer back in 2007, about 12 percent of our total global portfolio was stills. Today, 30 percent of our portfolio is stills. And that’s not to say that sparkling brands aren’t growing. But we’re also following the consumer where it wants to go and provide choice. In this environment, with huge macroeconomic challenges in the emerging world, where we are very prevalent — we are arguably the most international American business, operating with 1,000-plus factories in 207 countries — we are still focused on generating growth. What else would you tell long-term shareowners who wonder how you can continue to drive consistent growth as consumers turn away from sugary and non-natural beverages? First, I think the really important thing to realize is we have a fantastic portfolio that’s evolving very rapidly. That’s No. 1. Two, the ultimate health and wellness product under the Coca-Cola brand is a small Coca-Cola. Our small packages in the U.S. have been growing by double digits for the last eight or so consecutive quarters. Trademark Coca-Cola revenues are growing very well in the U.S. for the reasons I’ve just mentioned, because smaller packages are being preferred and driving the growth. That’s something you will see us doing much more: enlarging the availability of smaller packs in the U.S., in Canada, in Japan, in Western Europe, in Australia, in developed markets. So we are, in a way, at the forefront of our consumer goods company peers: We’re at the forefront of providing choice. 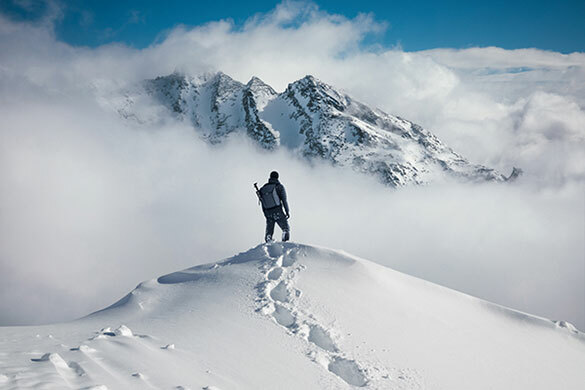 Was there a moment when you determined that you would shift the strategic aim from pushing volumes to what you’re doing now with pricing strategies? It’s a logical evolution when you think about downsizing packaging. So you’ve got the small aluminum bottle, the small glass bottle, the small cans — all phenomena of the last four or five years. But you can’t just be focused on volume when you’re downsizing and providing smaller packages. You have to make sure your system is completely aligned around revenue growth. Because in the end you can’t take liters to the bank, you can only take revenue to the bank. You personally did very well as the head of the international business in growing volumes. Was the mind shift away from primarily focusing on pushing volumes a difficult one for you? It was a mind shift that had to happen. It was the how, rather than the what. The how was, we got together with our bottlers and said, “We’re going to move much more toward an incidence model with our bottling partners” — incidence means bottlers buy our concentrates at a price that is based on how the final products will be priced, and how much revenue bottlers are generating. That way, the left hand — The Coca-Cola Company — is completely aligned with what the right hand — the bottlers — wants to do. What we’ve done in that new architecture is we’ve divided our markets into three categories and provided job descriptions for the three groups of markets. The developed markets (the U.S., Australia, Western Europe, and Japan) will be more focused on the revenues side: More small packs, more segmented execution, and driving revenue as opposed to a focus on volume. The developing markets, or the more middle-income countries — Colombia, Mexico, Argentina, Thailand, Turkey, and South Africa — there it will be a balance, 50-50, between focus on revenue and focus on volume. Because in the end, revenue is a combination of two things: price and volume. And, finally, the emerging markets will be skewed to a volume game. Do you predict that growth will further accelerate when the franchising is complete? We feel confident that as we complete the refranchising in the end of 2017, we should generate further acceleration of growth. One point: While doing all this transformation, we also have had to endure probably the worst period in history of exchange rate headwinds as one of the most international of American businesses. The last four-and-a-half-year period has been the most intense period of strengthening of the U.S. dollar, or, said another way, a value loss of emerging-markets currencies. That cannot continue forever. Do you think those headwinds have accelerated some of the strategic changes we’re talking about? No doubt. We will be less susceptible to the volatility of exchange-rate fluctuations when we don’t have the bottling business in the consolidation of our numbers. Looking at your time so far as CEO during this transformative era, what do you think are the most important things you have done? I think the most important thing that we leave behind here is a company transformed back to its roots. This is the preeminent brand business and franchise business in the world. Alignment is something I’m very proud of — how aligned we are as a system with our bottlers today. And I’m very proud of the stable of our brands. And also that, in this economic downturn, we’ve been able to make the difficult decision to invest in our brands. Normally, all CEOs want to increase revenue, increase revenue. We’ve done the opposite, which is counterintuitive. We’re going from a business that is probably $15 to $20 billion less revenue, but with 1,200 basis points higher margin. Do you have any prediction on how much longer you think you’ll be with Coca-Cola?